roof bolt., provided by Dave Zegeer. 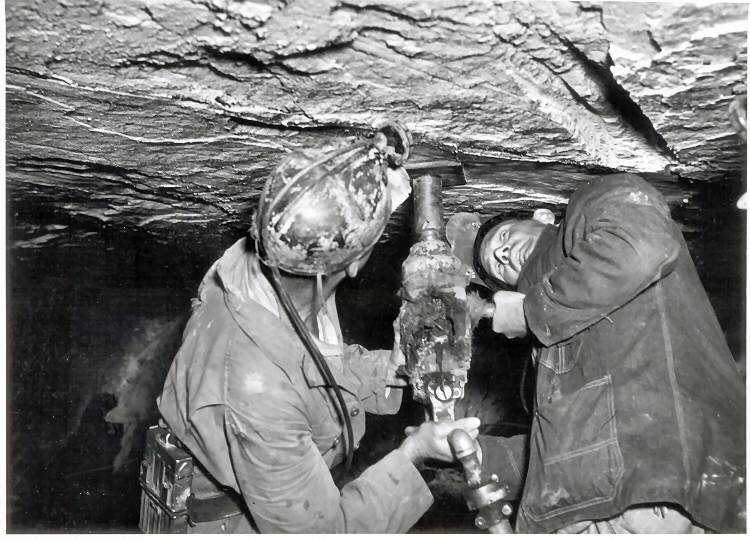 Old photo showing a tipple and loadout in Eastern Kentucky. Provided by Dave Zegeer. 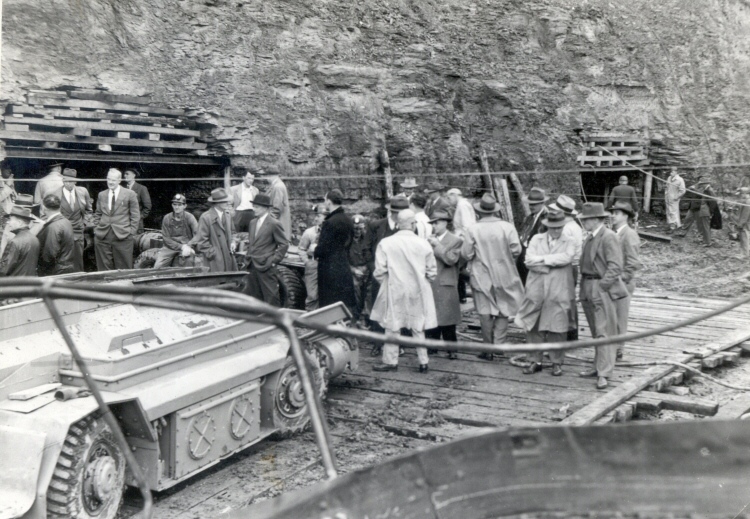 Old photo showing several people in front of a mine in Letcher County, Kentucky. Provided by Dave Zegeer. 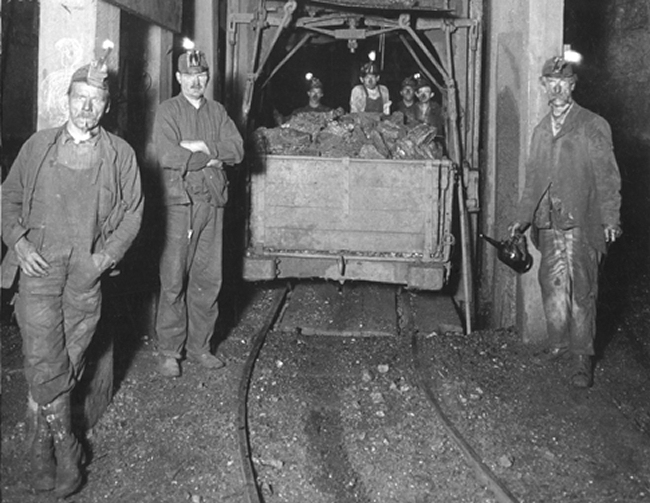 Old photo showing several miners in front of a loading cage, early 1900's. 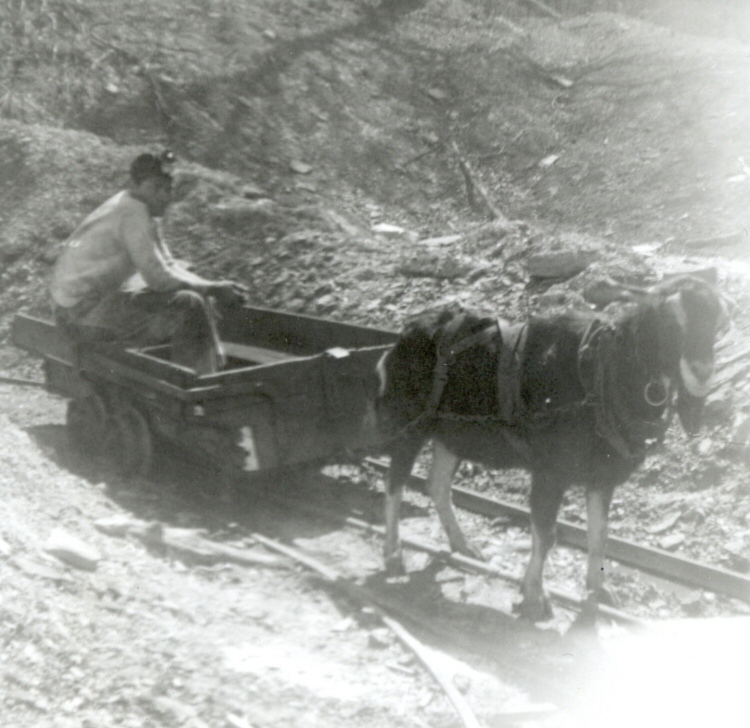 Old photo showing showing a goat pulling a mine cart, date unknown. 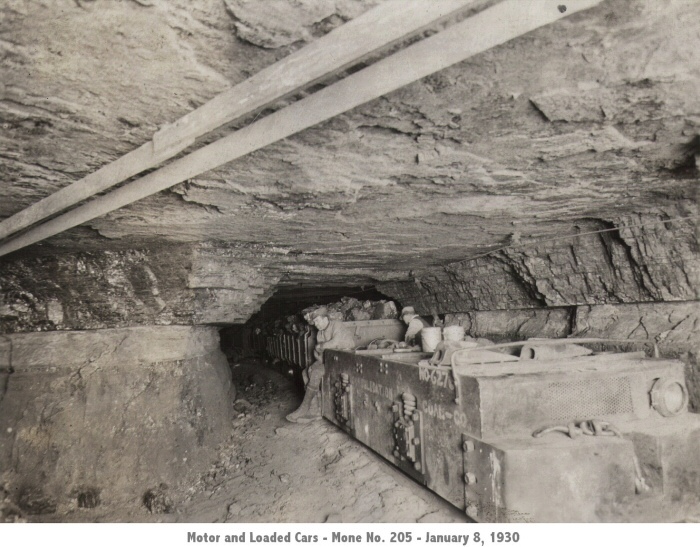 Old photo showing a motor and loaded cars, Mine no. 205, January 8, 1930. 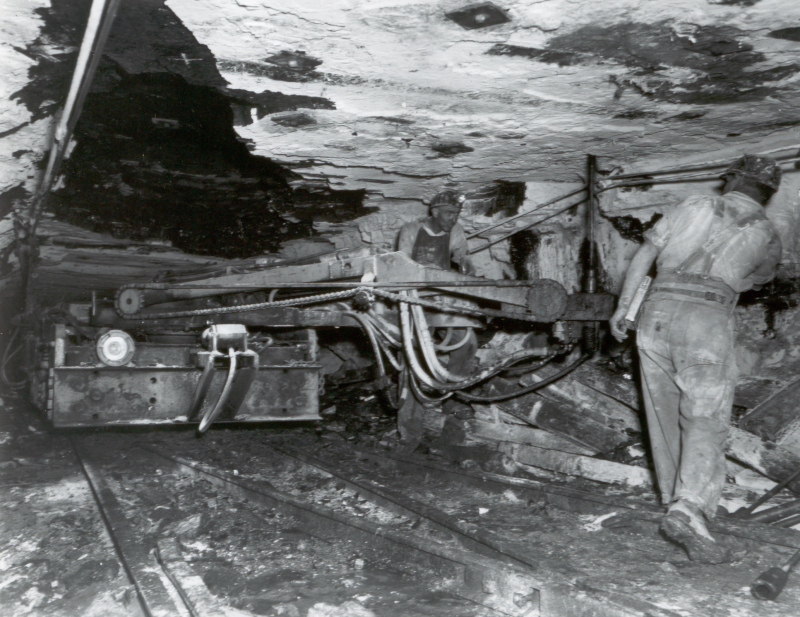 Old photo showing a track mounted roof drill in use. 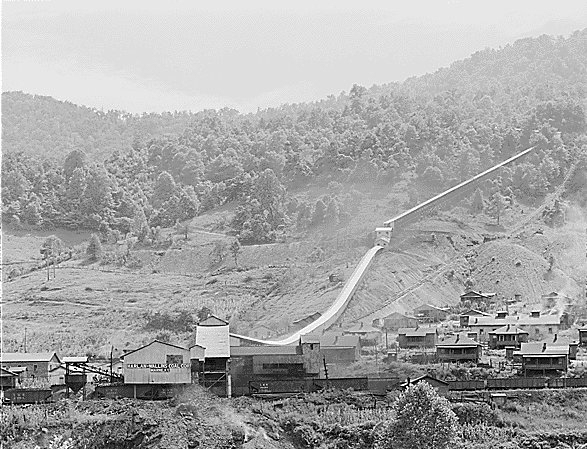 photo dated in the 1950's? 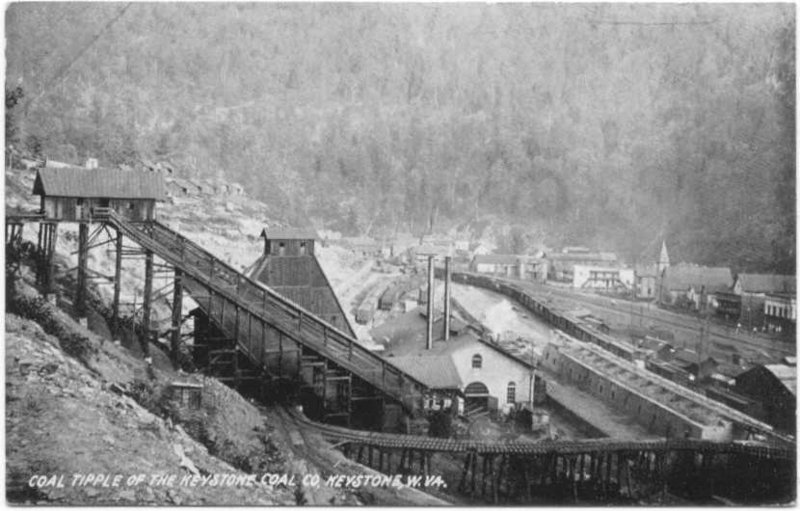 Old photo showing a coal tipple of the Keystone Coal Co., Keystone, W.Va., date unknown. 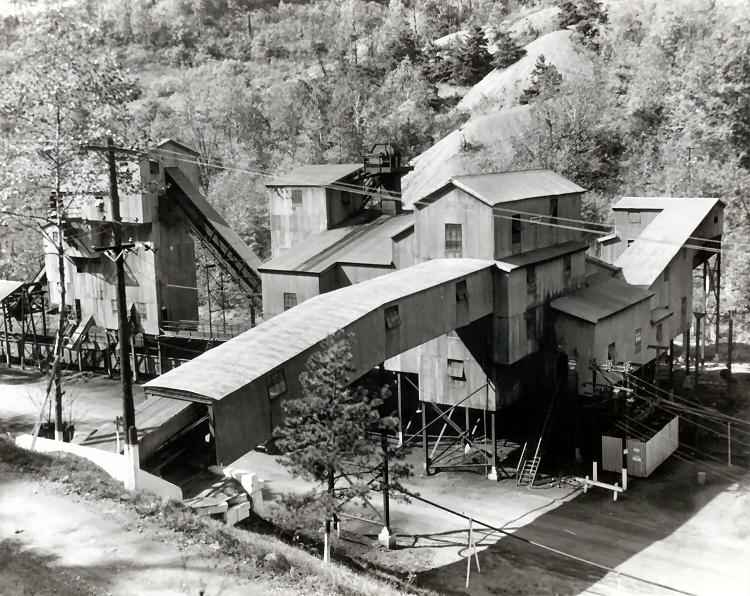 Old photo showing the Benito Mine, Benito, Harlan County, Ky.